Five people have been arrested on suspicion of murder after a man's body was found in a property in the County Armagh village of Bessbrook. Police are investigating the circumstances surrounding the death of the man in his 30s. Two men, aged 41 and 43, and three women, two aged 22 and one aged 39, remain in custody. The man's body was discovered in the Acorn Hill area on Wednesday morning. 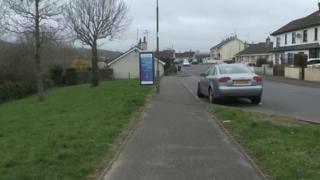 Sinn Féin councillor Roisin Mulgrew said it was "dreadful news for the family of the young man". "They are very well respected throughout this area and at this tragic time we offer them our support and prayers," she said. Police received a report of the incident shortly after 10.15am. Det Ch Insp Eamonn Corrigan said: "I am appealing for anyone who was in the area of Acorn Hill on Tuesday night or Wednesday morning and who witnessed anything or anyone with any information that can assist with my investigation to contact detectives." A post mortem examination is due to take place to determine the cause of death.